Welcome Home! Great, quiet location nestled in the heart of College Park East! Highly sought after 5 bedroom corner lot with a 3 car garage and downstairs bedroom and bath with shower. Four bedrooms upstairs with separate bath including dual sinks, shower and tub. Double door entry leading to a separate step down family room with gas burning fireplace. Remodeled kitchen includes granite counter tops, stainless appliances, 5 burner stovetop and double oven. Formal dining room and separate family eating area. Two large French doors lead to backyard. Direct access garage with laundry. Roof is 15 years old; 5 ton ac unit. 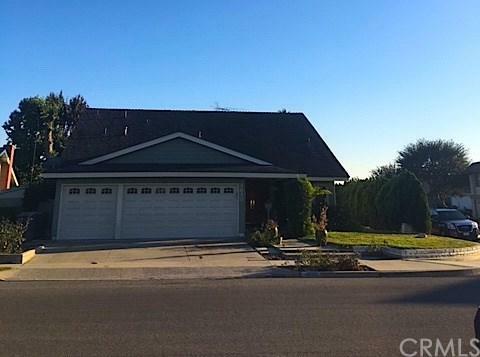 Easy access to 405/605/22 freeways and close to shopping & restaurants and in the distinguished Los Alamitos school district. Under six miles to the beach!